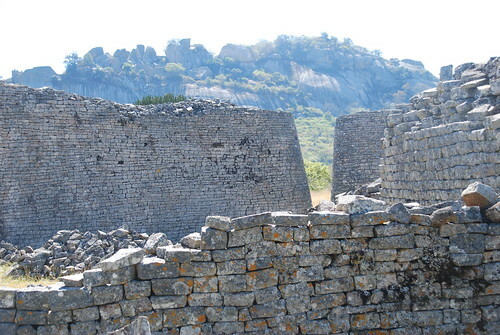 The word Zimbabwe is derived from the Shona words dzimba dza mabwe meaning house of stone…..named of course after Great Zimbabwe! 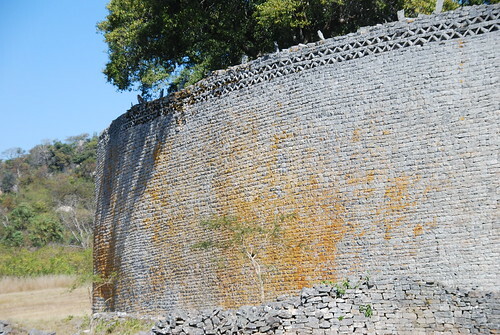 It was originally thought to be a Phoenician city or maybe part of the empire of Sheba or King Solomon…..the basis for this was no more scientific than a belief that Africans couldn’t possibly have built anything so sophisticated. 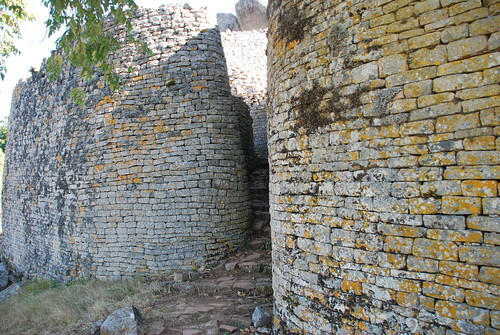 Well they could and they did, and at its height in the 15th century it housed over 25,000 people. 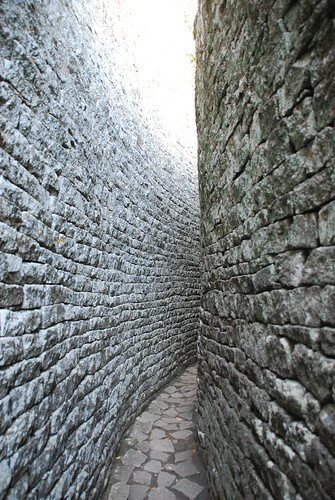 The great enclosure alone has over one million stone bricks and the walls are over 6m thick at the base and 4m thick at the top the whole site is split into 3 parts but defenses to all are a series of concentric paths and narrow passages. 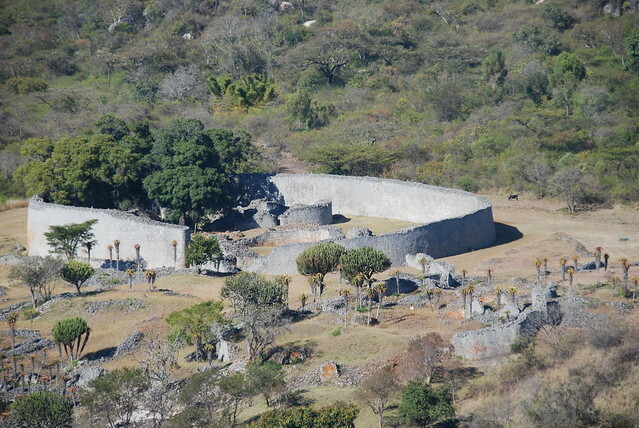 Amazing to think there are hundreds of sites like this in southern Africa.